This is the biggest fish in the whole world! Fish tales. This is how I currently live my life. Every day is filled with them. Do your kids only ever speak in superlatives? Every day, all day, I learn of the best, biggest, fastest, prettiest, worst...things in the whole wide world. Perhaps it's because these things are being viewed by tiny eyes or perhaps it's because, to my kids, everything is extreme. Whatever the reason, my kids only speak in "fish tales." This is the biggest fish in the whole wide world! 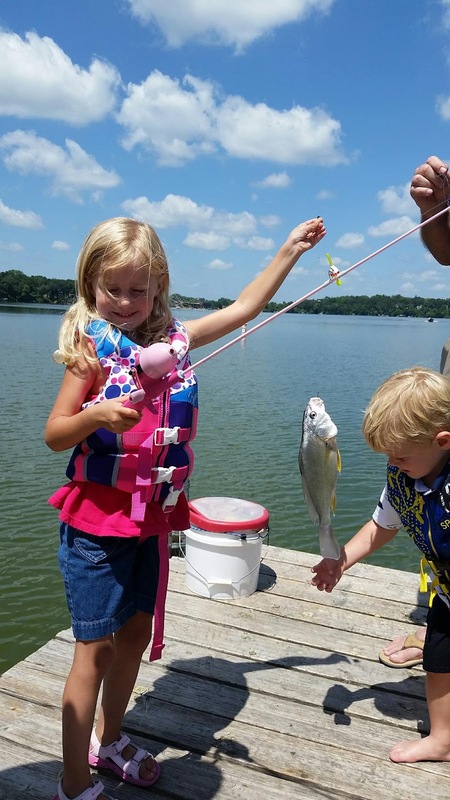 Share your fish stories in the comments below.